Age 82 , of West Milton, passed away Wednesday, August 15, 2018, at Upper Valley Medical Center. He was born on June 4, 1936, in Dayton, Ohio, to his parents Robert Charles & Helen Arlene (Funderburg) Lutz. He graduated from Milton-Union High School in 1955. After serving in the US Army at Ft. Stewart, GA, from 1959-61, he and Sally moved back home to West Milton. He worked at NCR for 17 ½ years before working at Delco Products in Kettering. He retired from Delco in 1998. 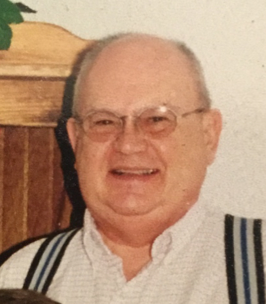 Ronald was an avid collector of HO model trains and loved military history and shared this interest with his family. He also loved cars and in the past few years he loved to paint. He and Sally traveled all over the country and they enjoyed traveling with their friends Bev & Kojack Kingery. He is survived by his loving wife of 61 years Sally Irene (Shaw) Lutz; sons and daughters-in-law Eric & Helen Lutz of Medway, Kerry & Tammy Lutz of Englewood; grandchildren Andy Lutz, Allen Lutz (Jordyn), Adrienne Lutz (Randy), William Lewis (Trish), Jonathan Lewis (Whitney); 4 great grandchildren; sister Bernadene Bridenbaugh (Dwaine); and many extended family and friends. Funeral services will be held 2:00 PM Tuesday, August 21, at Hale-Sarver Family Funeral Home, 284 N. Miami Street, West Milton, with interment following at Riverside Cemetery, West Milton. The family will receive friends from 12:00-2:00 PM Tuesday at the funeral home. If so desired, memorial contributions may be made to the American Diabetes Association.